“I trust the day care center as the teachers also the internally displaced persons like me,’ said a mother of a girl who attended the IYV Baby Home opening ceremony in Yamagata city. 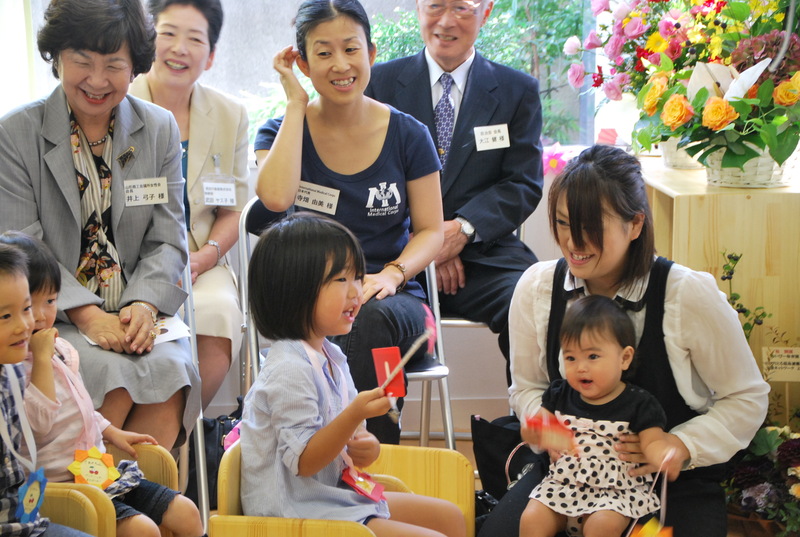 On September 22, 2012, IYV Baby Home has officially opened for people who get affected by the fallout of Fukushima nuclear accident since March 2011 and decided to get a better place to raise their children in safety environment. Many wish to make Yamagata to be their second home. Some of these young-mothers have no relatives in Yamagata, but thanks to the cyber-world, they found some places through searches from websites. After the search, they have also made a number of phone calls to the city of Yamagata to ensure that they would have a place to stay. They decided to come as it is not too far from Fukushima as it is about two-hour drive (kilometers would make a better sense to people), yet not too near for the radiation contamination. 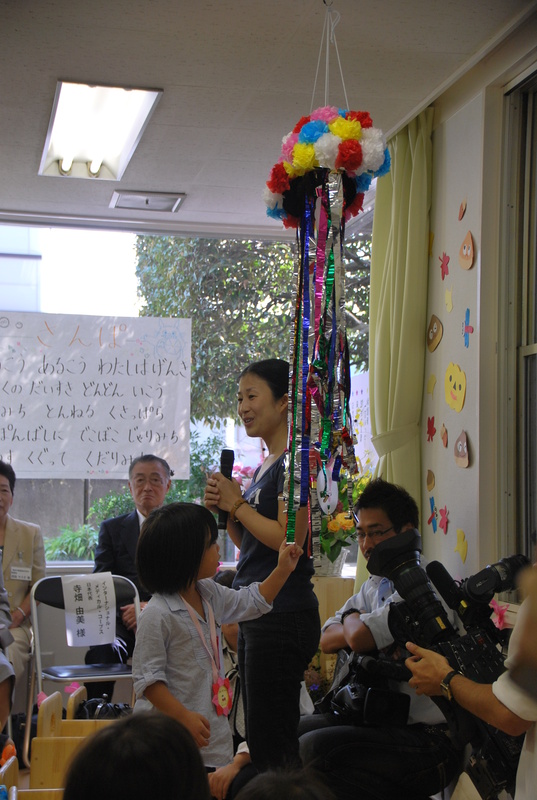 “When I arrived here, the day care center in Yamagata is already occupied by the local Yamagata people, apart from that it is too expensive for us who has to stay away from home to afford to send our children to those centers,’’ said a mother of three young children, Ms. Odaka. She is also a teacher at the center. While carrying her 8-month old child on her back, she still performed her duty as a teacher. When she started telling a story through a story-book, she always wears the smile. Some young children listened to her story telling attentively, but some are too young to pay attention to the storybook but they still behaved, only two small girls that started crying in front of a number of guests that being invited to attend the opening ceremony. 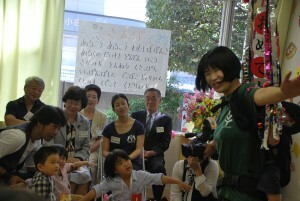 It was an official ceremony, yet it is an informal, as many of the guests who attended the ceremony were supporters of the day care center, they have their common concern that is to ensure the well-beings of families who get affected from Fukushima incident. They are business people, government and cities officials, and parents of these young children, civil groups, local and international NGOs which included with the International Medical Corps (MIC). The MIC is being introduced to International Volunteers Yamagata (IVY) by the Japan NGO Center for International Cooperation (JANIC). When the music started some young children singing along, and some even move their body after the rhythms of the music, some sit very close with their dad. These fathers have to stay behind in Fukushima to work. They have to commute to Yamagata to see their respective family during the weekends. When the weekend-reunion is over they have to go back to work in Fukushima again, many of these young children may miss their father a lot that is why they want to spend as much time as possible with their father. “I am happy to have this day care center as I still have to stay behind in Fukushima to work and I pity my wife as she has to take care of our children alone without my assistance during the weekdays. Having this day care center, it could help shoulder some burdens of my wife,’’ said a father of two whose children sat with him all the time during the opening ceremony. Yet they looked happy and also participated with the activities that being introduced in the ceremony. Even these 10 children have to stay away from home, they would have no idea when they can go back to their home in Fukushima, but they could be ensured that they have a place to call second home in Yamagata. The IVY Baby Home will be their second home as it fills with good environment for young children to stay healthy and happy.